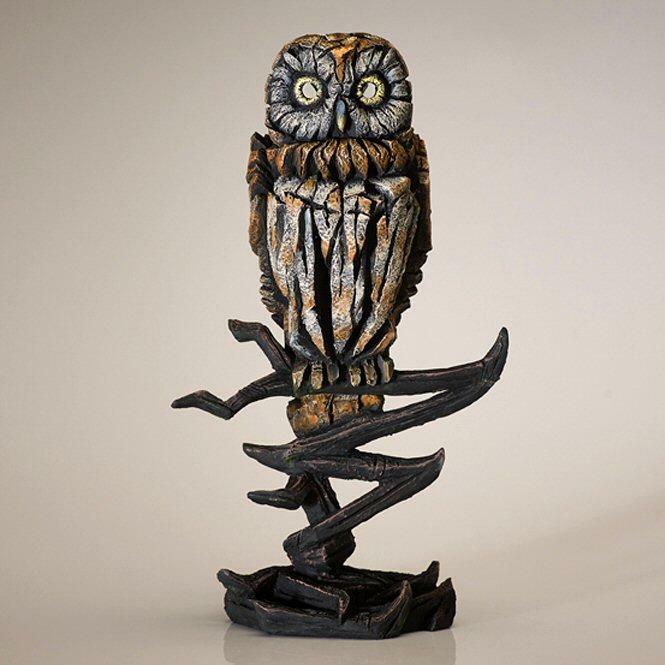 A charming owl sculpture in a contemporary style by Matt Buckley - from the EDGE collection. The owl is one of our most well known and well loved birds. Its silent flight and extraordinary night vision make it perfectly adapted for nocturnal hunting. Matt Buckley's study shows an owl perched on a branch resting yet still ready to pounce if prey is spotted. This sculpture has a grey/brown finish that suits the subject well but there are also versions in dark blue - Owl Midnight ED06B and gold - Owl Gold ED06G.